After hearing two hours of arguments from Cobb residents opposing the measure, the Lake County Planning Commission on Thursday voted unanimously to extend a use permit to Bottle Rock Power (BRP) to operate existing geothermal wells in Cobb for the next 30 years. Ten of the 11 Cobb residents who spoke at the meeting opposed the extension. They complained of the foul odor and health risks of hydrogen sulfide fumes, the low but annoying sound that can reverberate through the valley, possible liability issues the county might face, and conflicts of interest with county staff personnel who field complaints from residents while at the same time apparently working to support the permit extension. Before the procession of frustrated Cobb residents to the speakers' pulpit began, Community Development Director Rick Coel and senior deputy county counsel Robert Bridges both reminded the speakers to confine their remarks to the permit extension of the existing geothermal steam field on High Valley Road, and to avoid lapsing into areas like previous expansion permits or other issues over which the county has jurisdiction. An Expression of Interest (PDF)for a Regional Project for Geothermal Exploration in Rwanda, Burundi and Democratic Republic of Congo has been announced. The three member countries of the CEPGL (Communauté Économique des Pays des Grands Lacs): Burundi, Rwanda and the Democratic Republic of Congo, are characterized by high levels of poverty which have been heightened by the different conflicts that have taken place in the region since the 1990s. The consequences have been an exacerbation of political, economic and social problems, making their economies increasingly vulnerable and reducing their investment as well as development capacities. Due to political and financial constraints in the region, the access to electricity and the annual electricity consumption per capita in the three CEPGL countries are extremely low. Therefore, all three countries have made the development of the Energy sector a strategic priority. They have stressed their intention to work closely together with their neighbors, making use of common resources in order to benefit from the economic advantages of an interconnected regional electricity market. Carbon finance, structured by ClimateCare has helped make this clean energy project possible. Find out how it is benefiting local communities as well as the environment. Kenya is increasingly reliant on oil to generate electricity due to rising demand and the frequent droughts that limit the country’s hydroelectric resource. Due to these issues Kenya has suffered from an inconsistent electricity supply and rising carbon emissions. The Olkaria III Phase 2 Geothermal Expansion Project, located in Hell’s Gate National Park, uses the heat derived from magma rising from the Earth’s core to generate low carbon electricity which helps to address these issues. Alterra Power Corp. has announced that its 66.6% owned Icelandic subsidiary, HS Orka, today released audited financial and operating results for the twelve month period ended December 31, 2012. Highlights include electricity production from the Reykjanes and Svartsengi geothermal power plants decreased by 5.2% to 1,193,584 MWh (2011: 1,258,697 MWh), due to an excess supply in the market which resulted in HS Orka scaling back on production. New contracts have been entered into in 2013 which will require an increase in generation going forwards. Gold that was found in a borehole in Þormóðsdalur valley by Lake Hafravatn on the outskirts of Reykjavík this week measured 400 grams per ton of rock, the highest quantity found of the precious metal in Iceland. Environmentalists have criticized gold mining elsewhere as high quantities of quicksilver are used to separate the precious metal from the rock and the chemical is often washed out into the environment. Mining for gold at geothermal power plants could become a lucrative side-business in Iceland. Is the center of the Earth hot or cold? At an Earth Day event in Washington, D.C. some years ago, a booth for a geothermal energy industry group posed that question to those who stopped by. “The majority of the people who came by our booth said the center of the Earth is cold. I’m not sure if we can quickly overcome that,” said Karl Gawell, executive director of the U.S. Geothermal Energy Association, during a discussion of the industry’s annual report (PDF) earlier this week. Gawell told the tale to illustrate that the public knows little about geothermal energy and, as a result, geothermal energy doesn’t receive the same amount of public support that solar energy enjoys. The anecdote not only points to the ignorance of many but also the larger issue that consumers often don’t know much about or care where their energy comes from or how it’s produced. I certainly didn’t give much thoughts to those issues before I started covering renewable energy in 2008. 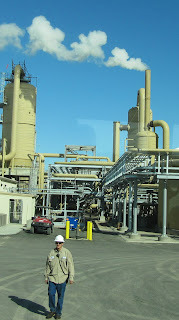 Nevada Geothermal Power Inc. (NGP) today announced results for the three months and six months ended December 31, 2012. NGP reported a net loss of $700,000, compared to a net loss of $1.3 million for the previous corresponding period. Net loss per share was $0.01 for the Dec 2012 quarter, compared to a net loss of $0.03 for the Dec 2011 quarter. On January 11, 2013, NGP entered into an Equity Transfer Agreement under which NGP will transfer its 100% interest in the Blue Mountain power plant to its mezzanine lender, EIG Global Energy Partners. NGP will continue as project operator of the Blue Mountain power plant and will provide management and administrative services during a cooperative transition period of up to twelve months from the BM Holdco equity transfer date. While NGP has cut costs and staff numbers dramatically, legal and consulting costs will remain significant until the equity transfer agreement closes, the company said in a statement. AltaRock Energy, backed by Google, Kleiner Perkins, Khosla Ventures and Vulcan Capital, has made some breakthroughs in Enhanced Geothermal Systems (EGS) development in the last few months. First, a carefully controlled, high pressure, cold water hydroshearing process late last year at the Newberry Geothermal Project in Bend, Oregon, cracked hot rock at 500 meters while producing only microseismic events. This suggested the EGS process, which was put on hold in 2010 because of concern that deep probing at California and Swiss projects was causing earthquakes, is manageable. California is weighing how to avoid a looming electricity crisis that could be brought on by its growing reliance on wind and solar power. The Geothermal Resources Council will be representing the geothermal industry at the Imperial Valley Renewable Energy Summit & Expo at the Barbara Worth Country Club, 13-15 March, in Holtville. Come by our booth and have a chat! But lately the region — which carries the dubious distinction of having the state's highest unemployment rate at 25.5% — is betting its future on a different kind of farm: green energy. Spurred by a state mandate that requires utilities to get a third of their electricity from green sources by 2020, renewable energy companies are leasing or buying thousands of acres in Imperial County to convert to energy farms providing power for coastal cities — bringing an estimated 6,000 building jobs and billions in construction activity to the county. New Zealand's highest court cleared the way on Wednesday for the first partial sale of Mighty River Power Ltd. within months after rejecting a bid by indigenous people to delay any offer until water ownership claims were settled. Indigenous Maori groups wanted special rights to resources affected by the sales but the Supreme Court said the planned sale would not prevent the government from settling Maori claims to economic or other interests in the water resources. The decision will allow the New Zealand government to proceed with selling a minority stake in Mighty River Power Ltd. before the middle of the year. Geothermal power production grew in the United States by 5 percent last year, with Utah ranked No. 3 in the country for its generation of power by tapping super-heated water thousands of feet underground. Highlights of geothermal power's growth, the number of projects in development and challenges in developing the renewable energy were detailed in the GEA industry briefing (PDF)Tuesday in Washington. Recorded an impairment charge of $229.1 million relating to the North Brawley power plant which resulted in a net loss of $206.7 million in the year. The U.S. Energy Information Administration (EIA)’s full 2012 electricity generation data is now available in the EIA’s Electric Power Monthly report. It shows how the geothermal industry has fared during the year. 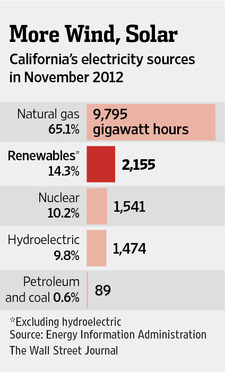 The table below shows Net Generation from Geothermal by state, by Sector, Year-to-Date through December 2012 and 2011 (Thousand Megawatthours) and the percent increase year-on-year. Overall there was a 1,475,000 Megawatthour increase in the production of geothermal electricity in the US in 2012, a 9.6% increase. The state with the biggest increase was Idaho with a 30.5% increase year-on-year followed by Nevada with a 26.3% increase. Regarding the geothermal stature of the region, there’s good news and bad news. The good news is that world geothermal energy development is exploding, and Reno people and companies will be tapped for their expertise in exploration, training, design, equipment and maintenance, bringing much needed money back into the community. The bad news is that support for geothermal projects within Nevada has waned — at least five projects are stalled because of lack of demand for the renewable energy. If this situation continues, other cities, other states and even other countries may take the geothermal lead. And they want to. Given the quality of geothermal jobs, the amount of money geothermal companies spend in the local economy and the industry’s expected growth, it would seem foolish not to step up and firmly maintain our position. A fully dispatchable geothermal plant in Hawaii may influence power contracts in states like California that have a significant amount of energy but dwindling capacity with intermittent renewables. In order to get the utility, Hawaii Electric Light Company (HELCO), to agree to purchase power from the 8 MWe expansion on its 30 MWe Puna Geothermal Venture, Ormat made the entire plant fully dispatchable, meaning that it is controlled by HELCO, who can ramp service up or down to serve the auxiliary energy load for the grid. The House Committee on Finance approved a bill Monday that would require county approval of geothermal energy projects by establishing a county-level permitting process. The bill also explicitly allows counties to impose rules limiting geothermal energy development. Advocates say the proposal adds important environmental safeguards and community input. The U.S. Geothermal Energy Association (GEA) today released its 2013 Annual Industry Update (PDF), which found that installed geothermal capacity in the United States grew by 5%, or 147.05 MWe, since the last annual survey in March 2012. This increase in capacity is part of a larger trend of steady geothermal growth over the past decade, and can be attributed to seven geothermal projects that came online in 2012. The GEA also revised its last year’s estimate of total installed capacity upward by 128 MWe, bringing current installed U.S. geothermal capacity to 3,386 MWe. Energy Development Corp. said Tuesday units 1 and 2 of the 150-megawatt Bacon-Manito geothermal plants have resumed operations, following a two-year rehabilitation. EDC, an affiliate of Lopez-controlled First Gen Corp., said the Bacman geothermal project in Bacon, Sorsogon and Manito, Albay began commercial operations on Feb. 25, after the company undertook a $72-million rehabilitation of the project beginning December 2010. “For the past three to four weeks, Bacman Units 1 and 2 have been generating energy during their testing and reliability runs. Both 55 MWe units have been operating at full load since Jan. 27 and Feb. 11, respectively,” EDC president and chief operating officer Richard Tantoco said. The Bacman geothermal power plants consist of Bacman I (two, 55 MWe units) and Bacman II – (two, 20 MWe units). Hawaii lawmakers are debating a bill to give island counties more control over the development of geothermal energy resources. Many state leaders see Hawaii's volcanoes as part of the solution to the state's energy woes. But several environmental groups and Native Hawaiian organizations are worried about the effects of unbridled development. The House Committee on Finance is considering a proposal Monday that would require county approval of geothermal energy projects. But opponents say that the bill doesn't provide enough protections. The original version of the bill established stricter regulations on development but was opposed by the state Department of Land and Natural Resources. Geothermal energy supplies about 20 percent of the electricity used on the Big Island. Mammoth Community Water District officials say that the proposed Casa Diablo Geothermal plant expansion could harm both groundwater and surface water resources used to serve the community of Mammoth Lakes. Casa Diablo Geothermal officials have gone through the environmental investigation of their expansion plans and Mammoth’s Water District has responded. In a press release, the Water District says the geothermal expansion project proposes the development of 16 production and reinjection wells along with a “significant increase in geothermal fluid pumping.” The release also says that several of the proposed new wells are within two miles of the District’s groundwater production wells. A plan to conduct a survey for construction of a geothermal power plant in Hokkaido's Daisetsuzan National Park is likely to spark nationwide discussions on how to develop and utilize the nation's abundant geothermal energy potential. As Japan is home to the world's third-largest geothermal energy reserve, the plan is expected to trigger similar movements in other national and quasi-national parks. Since the expansion of power generation is said to depend on local opinion, much care must be taken in obtaining the consent of local residents. For example, in the case of Daisetsuzan, local residents were presented with measures to revitalize their communities. However, even with consent, the entire process from the initial survey to geothermal power generation could take anywhere from eight to 10 years. To encourage development, the government must help create the technology needed to utilize the domestic energy resource, while simultaneously trying to restart idled nuclear power plants, the nation's current basic power source. More homeowners could soon be moved away from Puna Geothermal Venture with the help of Hawaii County. Last summer, the county Planning Department received a record 25 applications for the program that allows people living near the plant to sell their home to the county at as much as 130 percent of assessed value. The intent of the program, established with the county’s share of geothermal royalties, was to help people concerned about health and other impacts from the plant to be able to move away. Five relocations have been approved to date, with the most recent in 2012. Because of the high volume of requests, which occurred while the County Council was considering using the relocation fund to cover a geothermal health study, the department chose to withhold action until it could contract the work of purchasing and reselling the homes. Joaquin Gamiao, planning administrative officer, said Wednesday the department is in the final stages of approving a contract with Prudential Orchid Isle Properties to assist with the transactions and could begin purchasing homes in the next couple months. 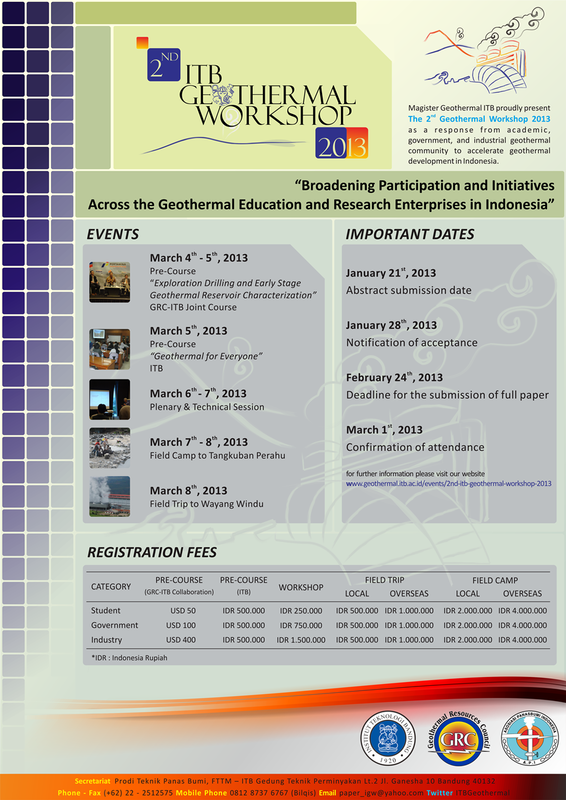 Registration for the 2013 National Geothermal Student Competition is now open! The 2013 National Geothermal Student Competition, sponsored by the U.S. Department of Energy’s Office of Energy Efficiency and Renewable Energy, is designed to advance the understanding of geothermal energy as a valued resource by promoting innovation, exploration, and entrepreneurship among the nation’s colleges and universities. The Competition seeks to engage students in a collaborative exercise to develop a business plan for developing a geothermal enterprise. Applicants are encouraged to consider a candidate resource in their home state/region, though convincing plans for any domestic target will be considered. Shares in the drilling unit of Indonesian state energy company Pertamina are set to be sold to the public this year after the company’s request to list the company won approval from the State Enterprises Ministry. While Pertamina last month announced it had won approval for the part privatization of three of its units, including Pertamina Drilling Services Indonesia, Friday’s announcement by a senior ministry official is the first time the government has declared its support for the move. Pertamina has interests in 3 geothermal producing areas with 162 MWe installed capacity: Sibayak (2 MWe) located in North Sumatra, Kamojang (140 MWe) located in West Java and Lahendong (20 MWe) located in North Sulawesi. Whether it was providing sausages, sandwiches for work-breaks, or a place to sleep, Taupo businesses are likely feel a blip when construction on $800 million Te Mihi geothermal power station winds down around mid-year, a local businessman says. The large workforce brought into the town over the past 18 months to two years to build Te Mihi has been a mini-boom for small businesses. For the past five or six years Taupo has been relatively sheltered from the economic lows with construction of the $110m east Taupo arterial bypass, and Mighty River Power's $430m Nga Awa Purua and $466m Ngatamariki geothermal stations. Butchers, rental accommodation providers and food suppliers all reaped benefits supplying the needs of a workforce which peaked at 500 with an average take home pay around $1000 a week. Kenya Power intends to use the funds raised from the planned tariff review to finance the set up of energy generation plants. Kenya Power is targeting the months between March and June to raise funds for the 36 MWe OrPower4 geothermal plant, the 87 MWe Thika1 diesel plant and the Wellhead Units geothermal projects to be commissioned on March and June respectively. The next proposed tariff review is set for July of this year to fund five other power projects; the Olkaria 1— life extension, the 16 MWe OrPower4 geothermal plant, the Athi River 1 and 2 diesel power plants and the 15 MWe Wellhead Units geothermal plant. Alterra Power Corp. has announced that Lynda Freeman has been appointed Interim Chief Financial Officer, replacing Peter Wong, who will be leaving the company to pursue other interests. Ms. Freeman originally joined the company as Corporate Controller in May 2010 and was appointed Director of Finance for Alterra in July 2011. Prior to this, she spent over ten years with PricewaterhouseCoopers in the United Kingdom, Australia and Canada. Ms. Freeman earned her BA Honours degree in Accountancy and Law at Oxford Brookes University and is a UK qualified Chartered Accountant (ACA). A wealth of geologic data from all 50 states and the Gulf of Mexico has been sitting unused in state and federal filing cabinets for decades. The Arizona Geological Survey is leading a coalition of universities and federal agencies on a nationwide treasure hunt to find and digitize these legacy data in a National Geothermal Data System (NGDS) to eliminate some of the financial risk face while prospecting for geothermal resources. Since the project's inception in 2008 under $35-million in grants from the U.S. Department of Energy Geothermal Technologies Office, collaborators have digitized information from over 1.25 million oil and gas, water, and geothermal wells and expect to have as many as three million wells in the system by the end of the year. Geothermal power generation projects are taking off in national and quasi-national parks, thanks to relaxed environmental regulations following the Great East Japan Earthquake in March 2011, which resulted in the suspension of all nuclear reactors in the country. A survey ahead of the construction of a geothermal power plant in Daisetsuzan National Park in Hokkaido will start this spring. Additionally, a surface survey for another project is already under way in Kurikoma Quasi-National Park in Yuzawa, Akita Prefecture. Geothermal power generation is expected to become a major source of renewable energy due to its low cost and a stable supply, which is not affected by weather. In Daisetsuzan park, the surface survey will be conducted in the Shiromizusawa district of Kamikawa, near the Sounkyo hot spring area. The Environment Ministry, local municipalities, Marubeni Corp.- a trading firm considering commercializing geothermal power generation - and others are expected to reach an agreement at a conference scheduled for Tuesday. This will be the first time a research plan has taken shape for a geothermal power project in a national park. Setelah berhasil menyelenggarakan 1st ITB Geothermal Workshop (IGW) pada tahun 2012 lalu, Program Studi Magister Teknik Panas Bumi Institut Teknologi Bandung kembali akan menyelenggarakan 2nd ITB Geothermal Workshop di bulan Maret 2013 nanti. IGW yang kedua ini mengangkat tema "Boardening Participation and Initiatives Across The Geothermal Education and Research Enterprises In Indonesia". IGW adalah suatu event yang mempertemukan industri, praktisi, dan akademisi baik dari dalam maupun luar negeri serta para pemangku kepentingan dari jajaran pemerintahan dalam satu momentum. IGW 2013 akan diselenggarakan tanggal 4-8 Maret 2013 dan bertempat di kampus ITB, Bandung. Rangkaian kegiatan akan diawali oleh sebuah Pre-Course pada tanggal 4-5 Maret dengan topik “Exploration Drilling and Early Stage Geothermal Reservoir Characterization” yang akan dibawakan secara bersama oleh Program Studi Magister Teknik Panas Bumi ITB dan Geothermal Resources Council (GRC). Energy Development Corp. (EDC), the country’s largest producer of geothermal energy, will pay P1.5 billion in dividends to its shareholders in April. In a disclosure to the Philippine Stock Exchange on Thursday, EDC said its board of directors approved the declaration of cash dividend of 0.08 centavos per share in favor of preferred shareholders of record as of March 11, 2013. The board also approved a cash dividend of 8 centavos per share on common shares in favor of common stockholders of record as of March 11, payable on or before April 8. PT Wika Jabar Power, a subsidiary of PT Wijaya Karya Tbk (WIKA) and operator of Tampomas Geothermal Plant (PLTP) in West Java, is looking for partner to develop the project. Corporate Secretary Natal Argawan told reporters in Jakarta that PT Jasa Sarana, partner of Wika Jabar, is unable to develop the project. PT Jasa Sarana is a West Java Administration-owned vehicle company that also own minority partnership in Wika Jabar. “We are also looking for partners that have financial power,” Natal added. Wika Jabar is still waiting on mitigation survey on the 40 MWe geothermal project. Wika has allocated at least US$10 million for the project. The company has yet to clinch power purchase agreement with PT PLN but recent reports said Ministry of Energy & Mineral Resources has agreed to pay US$c6.5 per kWh for the plant. Green businesses have welcomed the official launch of Saudi Arabia's massive renewable energy procurement program, which could see 54 GWe of new capacity added to the grid by 2032. The government-backed K.A. CARE (King Abdullah City for Atomic and Renewable Energy) yesterday unveiled a white paper detailing the tender processes for new solar PV and solar thermal power plants, wind farms, geothermal facilities and waste-to-energy plants. The rounds form part of Saudi Arabia's colossal program to procure 54 GWe of new renewable energy capacity by 2032, which would see the oil-rich kingdom become one of the largest green energy generators in the world. Under the new plans, the vast majority of new green capacity will be solar – 16 GWe of which come from photovoltaic cells and 35 GWe from concentrated solar thermal. A further 9 GWe will come from wind power, 3 GWe will be provided by waste-to-energy, and 1 GWe will come from geothermal power. The Production Tax Credit (PTC) extends well beyond just the wind industry to include other sources of energy such as geothermal, solar, hydropower, biomass, landfill gas and municipal solid waste. And although these energy sources may benefit, there is an amount of uncertainty that exists. The modification adopted for geothermal, which allows projects to qualify for the PTC based upon an "under construction" status, represents an approach to renewable tax incentives that will work more effectively for geothermal and other renewable power technologies that have longer development lead times, which should lead to technology improvements that make geothermal projects more cost effective and competitive. However, geothermal is often considered a high risk technology. Although the process is the same as other renewables in terms of obtaining land rights and permits and negotiating complex contracts, the risk is whether or not the energy supply will actually materialize. Sen. Harry Reid took aim at NV Energy in his 20-minute state-of-the state address to the Nevada Legislature Wednesday. He sharply criticized what he called large loopholes in the requirement that at least 18 percent of Nevada's electric power come from renewable sources. “Those loopholes are so large, Nevada's major utility could meet the standard without building a single megawatt of new renewable energy for the rest of the decade,” he said of NV Energy. "Closing these loopholes will strengthen the law and send a powerful signal that Nevada remains committed to kicking our dependence on out-of-state fossil fuels,” he said. "Nevada has an opportunity not only to create jobs but also to create history by becoming completely energy independent. We have a chance to put Nevadans to work building a smarter transmission grid and solar, wind and geothermal facilities that will power Nevada and our neighbors, and make this state a healthier place to live." "Nevada has a head start to capture much of that market, but we must stay serious about attracting new investment and creating customers for our renewable power,” he said. Gazetted in 1984, the Hells Gate National Park which has consistently attracted large numbers of domestic and foreign tourists could soon have its beauty reversed, environmentalists and tour operators warn. This is because more geothermal wells are being sunk by the national power producer, Kengen, in an effort to increase electricity production in the country. Kengen has embarked on the construction of the largest geothermal project as the country moves to initiate green energy projects to cut its dependence on hydro and thermal power. The company currently owns and operates two geothermal power stations at Olkaria namely Olkaria I and Olkaria II. Soon after work began here on a power plant to harness some of the vast reserves of energy stored at the Earth's crust, the ground moved and, along a six-mile-long fissure, began belching red-hot lava. The eruptions continued for nine years, prompting the construction of a stone and soil barrier to make sure that molten rock did not incinerate Iceland's first geothermal power station. While the menacing lava flow has long since stopped and Krafla is today a showcase of Iceland's peerless mastery of renewable energy sources, another problem that has dogged its energy calculations for decades still remains: what to do with all the electricity that the country — which literally bubbles with steam, hot mud and the occasional cloud of volcanic ash — is capable of producing. The Kenya Electricity Generating Company (KenGen) is planning to use asset backed securities to raise over Sh2.4 trillion through a 20-year bond in order to finance its ambitious geothermal expansion plans. KenGen Managing Director Eddy Njoroge said that the utility will need an estimated Sh437.5 billion in the next five years in order to deliver adequate power in the face of rapidly growing demand. “We plan to use the steam – already drilled – as collateral to raise additional affordable capital from the market,” he revealed. Hannon Armstrong, a merchant bank and specialty finance firm, has filed for an initial public offering (IPO) with regulators in the U.S.
With the IPO, Hannon Armstrong Sustainable Infrastructure Capital Inc. is looking to raise $100 million, first as a real estate investment trust and then to float on the New York Stock Exchange. With the proceeds, according to the filing, the company plans to retire notes and debt repayment. The company was involved in the development of the Hudson Ranch I geothermal power plant in California with EnergySource, Mighty River Power (previously via GeoGlobal Energy) and Fuji Electric (for the Hudson Ranch II project) as shareholders in the construction phase of the project. Hannon Armstrong acted as lead arranger on private placement, which was sold to life insurance companies and used to refinance project debt tied to the John L. Featherstone plant. The company is currently involved in financing phase II of the plant adding another 49 MWe to the existing capacity. The Indonesian Energy and Mineral Resources Ministry issued regulation on feed-in tariff for power from renewable energy. Jero Wacik, Minister, said government will support renewable energy due to its vast potential. In 2012, new renewable energy and energy conservation recorded power plant capacity of 304.68 MWe, comprising geothermal (115 MWe), mini hydro (163.68 MWe), solar (5 MWe) and bio-energy (21 MWe). To support on-grid power from new and renewable energy, the Ministry issued Decree 22/2012 which regulates geothermal feed-in tariff at US$ 10 cent to US$ 18.5 cent per kilowatt hour (kWh). JFE Holdings Inc.’s engineering unit won an order to design and construct a geothermal plant in southwestern Japan. JFE Engineering Corp. will install a 1,500 kilowatt binary turbine made by Ormat Technologies Inc. of the U.S. for a project by Medipolis Energy Ltd. in Kagoshima prefecture, JFE Engineering said in a statement today. Medipolis Energy is a venture led by Shin Nippon Biomedical Laboratories Ltd., based in Kagoshima. The plant, estimated to cost about 1.2 billion yen ($13 million), will start running in September 2014, Tomoaki Honda, president of Medipolis Energy, said by phone today. U.S. Sen. Jon Tester is introducing a bill that would give loans to developers that risk exploration of unproven areas of geothermal energy and encourages co-leasing of land with oil and geothermal resources. Tester says the Geothermal Exploration and Technology Act would increase the country’s energy security and better utilize Montana’s energy resources. In the past, exploration for hot water or steam deep in the earth has occurred mostly in known areas of heat, fracturing and liquids, Tester’s office said. Tester’s legislation encourages “enhanced exploration” in areas where there might be just two of those known components, which involves more of a risk because the return could be less. 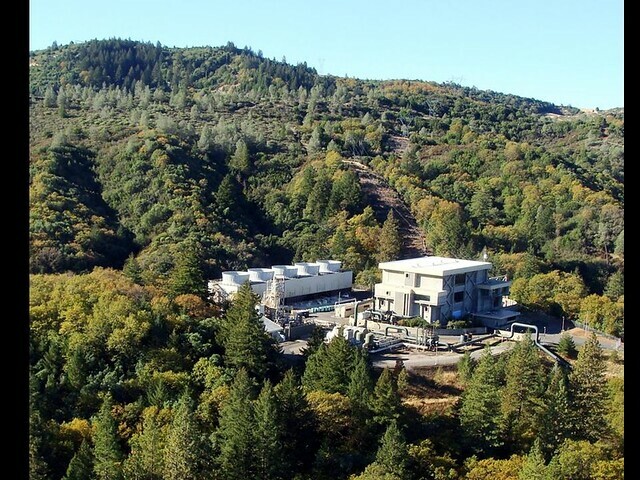 Bill Honjas, CEO of Klamath Basin Geopower, has blogged that steam is flowing from the O-1N geothermal well in the Olene area in southern Oregon. Using a process called an "airlift", drilling mud has been blown out of the well and flow from the geothermal reservoir successfully achieved. Bill Honjas says the drill will now be moved off of the pad and pumping of the well will commence. The company expects to drill at other locations within the year with the goal of choosing a location for a minimum 12 MWe power production facility for commencement of construction during 2013. Rumblings in the geothermal power sector have been highlighted, in early 2013, by several important developments signaling a likely expansion in geothermal activity over the next decade. Although the levelized cost of geothermal power is competitive with fossil fuel-based plants, the drilling required to exploit resources involves significant risk and requires large capital outlays, with often speculative ROI potential. Although resources must be managed carefully, plants do not require fuel delivery infrastructure like coal or natural gas plants since they sit directly atop active steam fields. These attributes make geothermal power particularly attractive to investors and among the most enticing of emerging renewable technologies. Pike Research’s forthcoming Geothermal Power Project Tracker shows that conventional (hydrothermal) development has expanded from just 26 countries in 2010 to 64 at the start of 2013. With 567 named projects identified in the Tracker worldwide, the geothermal industry is looking more and more like a dormant volcano beginning to stir. SMU's renowned Geothermal Lab will host its sixth Geothermal Energy Utilization Conference March 12-14 on the SMU campus in Dallas. Jon Wellinghoff, chairman of the Federal Energy Regulatory Commission, will be the keynote speaker and Doug Hollett, program manager of the U.S. Department of Energy Geothermal Technologies Program, will speak at an evening reception. Not content with creating the first hybrid solar/geothermal power plant in the world, Enel Green Power is also moving ahead of the pack in new hybrid systems, like combining thermodynamic solar power and geothermal energy. Enel Green Power is conducting research into hybrid renewable energy systems (HRES) as a way to push the renewable energy sector forward, improving its own plant performance at the same time. At present its focus is on increasing the compatibility of geothermal power with solar power and biomass. At the plant, which is the first one of its type in the whole world and was designed jointly with the Massachusetts Institute of Technology (MIT), the solar power plant heats up a fluid, a mix of water and ethylene glycol, which is heated up to about 200 degrees centigrade and used to raise the temperature of the geothermal fluid, increasing the efficiency of both the entire thermodynamic energy cycle and production. ‘In terms of solar integration, the plant adds about 17 thermal megawatts, equivalent to five megawatts of additional capacity. That means that the yearly production will increase by around 14 gigawatt-hours,’ said Fabrizio Bizzarri, Enel’s head of Innovation Scouting and Selection. Peru's energy and mines ministry on Friday gave permit to Australian geothermal energy company Hot Rock Ltd to explore for geothermal resources in the Huisco area in the southern Ayacucho region. The studies will be carried out in Cabana, Carmen Salcedo and Puquio districts during three years. Hot Rock Peru requested the permit in July 2011. A week earlier the government gave a geothermal exploration permit for the Carmen area in Ayacucho to Italy's Enel Green Power SpA. The central Indian state of Chhattisgarh has signed an agreement with the National Thermal Power Corporation (NTPC) to set up the country's first geothermal power plant in its newly-formed Balrampur district, an official statement said on Sunday. A memorandum of understanding (MoU) for the project was signed on Saturday between the NTPC and the Chhattisgarh Renewable Energy Development Agency (CREDA). The plant will be built at Tata Pani in Balrampur, a district located in extreme northern region of the state. "The power utility NTPC is expected to start the work on the project over the next two years once a detailed project report (DPR) is prepared. The geothermal generation refers to the harnessing/exploitation of the geothermal energy or the vast reservoir of heat energy stored in the earth's interior," the statement added. Securing funding for one of Australia’s largest geothermal projects and establishing Perth as one of the world’s top five ‘geothermal cities’ were celebrated as some of the major achievements of the Western Australian Geothermal Center of Excellence (WAGCOE), at its successful conclusion. Established in 2009 with funding support of A$2.3 million from the Government of Western Australia, WAGCOE brought researchers, industry, investors and government agencies together with the shared vision of creating zero-emission geothermal cities. The Reykjanes peninsula, where the Asbru Enterprise Park is located, offers a whole host of potential benefits for the burgeoning health and cosmetics sector, including the growing interest in tapping into existing infrastructure, real estate and energy to create greenhouses for commercial algae production. Asbru's Business Development Specialist, Oli Orn Eirksson, listed some of the factors that make Asbru a unique place to invest, particularly in this sector, "The Reykjanes peninsula is already actively engaged in the algae-production business, the most famous of these being the Blue Lagoon. A number of companies are using the greenhouses here to produce raw material for the biotech sector. The infrastructure is in place, including geothermal energy, an abundance of hot and cold water, both fresh and from the sea, as well as real estate - both existing buildings and plots of land for development." The aim of the Iceland Geothermal Conference is to increase awareness and emphasize the importance of geothermal energy. The overall theme of the conference this year is to focus on the geothermal value chain, and offer a hands-on experience covering the three-main phases of geothermal energy development. The State of California Air Resources Board is inviting interested parties to participate in a public workshop to provide input on the development of an investment plan for the auction proceeds from the Cap-and-Trade program to reduce greenhouse gases. We urge our colleagues in the geothermal industry to attend and make their voices heard. The auction proceeds could fund geothermal projects. Calpine is now accepting applications for its Student Summer Internships at the Geysers Field in Middletown, California. The Geysers is the largest complex of geothermal power plants in the world. Calpine is the largest geothermal power producer in the US and one of the most reliable energy sources in California accounting for one fourth of the green power produced in California. La Comisión Federal de Electricidad (CFE) comenzó en noviembre de 1959 el desarrollo de la geotermia en México instalando la primera planta experimental de 3.000 Kw en la zona de Pathe, Hidalgo, México. The Federal Electricity Commission (CFE) began the development of geothermal energy in Mexico in November 1959, installing the first 3,000 kWe experimental plant in Pathe, Hidalgo, Mexico. Transmark Turkey, formerly known as Sonsuzluk, has announced that it has been successful in converting 5 geothermal exploration licenses into operational licenses. The converted licenses are located in Sandal, Kizilyer and Derekoy (all in the Manisa - Kula area) and Kestanbol and Gulpinar (both in the Canakkale area). After an extensive exploration drilling of wells up to 1150 meters deep, all areas have shown strong geothermal potential. Transmark Turkey is aiming to utilize this potential for power production and potential direct usage projects. Currently, further testing and interpretation is being done by a Transmark team in order to determine the location for the next phase; the drilling of production wells. On Tuesday night, President Obama gave his State of the Union address and the White House launched an "enhanced" experience, a multimedia display with video, 107 slides and 27 charts. The chart on the left was used to back up his call for a doubling of renewable energy in the U.S. from geothermal, wind and solar by 2020. Sens. Mark Udall, D-Colo.; Michael Bennet, D-Colo.; Jon Tester, D-Mont. ; and Dean Heller, R-Nev., have introduced legislation that would streamline the permitting process for renewable energy projects on public lands. The Public Lands Renewable Energy Development Act creates a leasing pilot project to establish a straightforward development process that treats renewable energy - including wind, solar and geothermal - similar to traditional sources of energy development, such as oil and natural-gas projects, the senators explain. Currently, obtaining permits for wind and solar projects on public lands can take several years. The senators say the proposed bill would reduce the number of steps required by law and make it easier for companies to make long-term plans. The changes would also increase local governments' revenue and certainty by establishing a more predictable and direct royalty system from renewables that will support conservation, the senators add.